The intensive night cream nourishes the skin of the face and minimizes the wrinkles night after night. The hyaluronic acid added in the cream provides deep moisturizing and prevents the appearance of new lines and wrinkles. 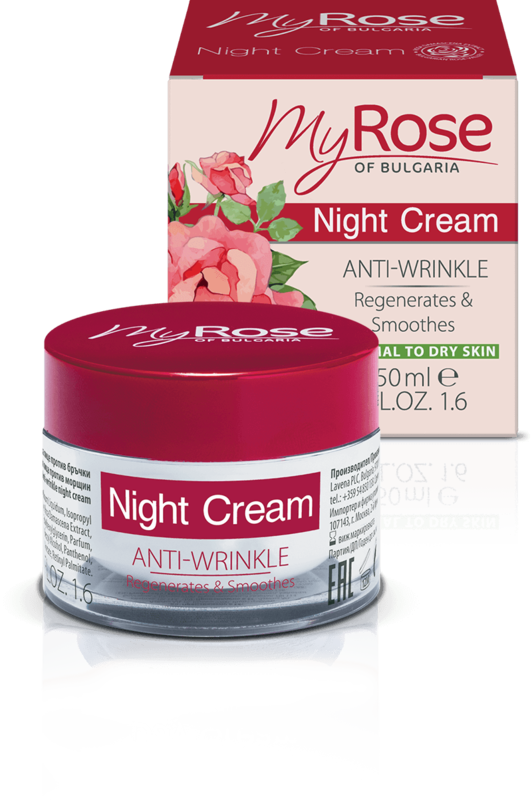 The natural extract from Bulgarian Rosa Damascena has valuable antioxidant qualities and regenerates the cells. The cream is enriched with vitamins A and E which smooth the surface of the skin and make it looks healthy and bright. You are wakening with the feeling of smooth, elastic and firm skin. Usage: Apply on clean and dry face skin with smooth massage movements till it absorbs fully.